During the late 1970s the Lord began stirring the hearts of believers across the world concerning the nation of Israel and its prophetic role in modern times. Then, in the summer of 1980, the Israeli Parliament declared the city of Jerusalem to be the undivided, eternal capital of the State of Israel, established as such by King David almost 3,000 years earlier. Protest resounded across the international political spectrum, resulting in the closure of thirteen national embassies in Jerusalem. A number of Christians living in Israel were then hosting a Christian celebration during the Jewish Feast of Tabernacles. They sensed Israel's deep hurt over the withdrawal of the foreign embassies and felt the call of the Lord to open a Christian Embassy in this, the City of the Great King. They called it the International Christian Embassy Jerusalem and it represents Christians from around the world, speaking words of comfort and support to Israel. Ever since, the Embassy has provided a "servant's heart" ministry to the people of the land. From its inception the ICEJ has had two dominant goals; first, to serve as a conduit of comfort and blessing through which believers in the nations could show their love and support to Israel. Second, the ICEJ stands as a prophetic voice to this generation concerning God's unwavering plan to fulfill His covenant promises to the fathers of Israel. Namely, that He would ultimately restore the children of Israel to their rightful land and sequentially to a right relationship with their God, the God of Israel. One thousand Christians from every land came up to Jerusalem to celebrate the Feast of Tabernacles with song, dance, praise and worship in accordance with Zechariah 14:16. The Christians were invited to the Chief Rabbis' synagogue to receive a blessing from Rabbi Goren himself. Fifteen Christian leaders spent an hour sharing with the President of Israel - President Navon at his home. He said "You move me deeply" and "we appreciate what you are doing." On the day of the Jerusalem March, 400 Christians participated and Israeli soldiers cheered and waved in appreciation of Christian support for Israel. The people lining the route said again and again in Hebrew "Blessed art thou, blessed art thou". An exciting foreshadowing of the Messianic prophecy contained in Matthew 23:39 "For I tell you, you will not see me again until you say, "Blessed is he who comes in the name of the Lord", and "For he that receives you, receives me." Teddy Kollek, the Mayor of Jerusalem, was present at the opening and was deeply touched by the Christian representatives from different nations as they presented their country's flag before him, pledging to pray for the peace of Jerusalem in the name of all Bible-believing Christians at home. In front of all the cameras, journalists and about 1000 Christians, the Mayor described it as one of the most moving experiences in his life. During the Easter of 1981 the Christian Embassy organized demonstrations around the world in support of imprisoned Soviet Jews and Prisoners of Zion, equating them with the situation of Mordechai and Queen Esther and the Jews of Persia long ago. Supporters of the Embassy in Jerusalem marched to the Russian compound and "nailed" their protest to the closed doors of the Russian Orthodox church there. The photo shows one of the banners used at the demonstration in Washington DC. Coming 40 years after the Holocaust was perpetrated on Europe's soil, this was a fitting time to sound forth the trumpet on behalf of God's people. This congress, held 88 years after the first Jewish Zionist congress was held by Theodor Herzl, gave Christian leaders from different parts of the world the opportunity to harmonize their stand concerning the Jewish people and to establish the theological basis for their support for the reborn State of Israel. 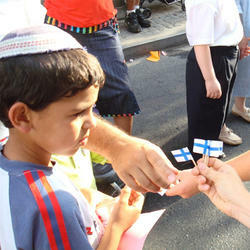 The ICEJ began to assist Jewish people from the former USSR to come to Israel. At first there was only passage through Budapest and Warsaw, so the Exobus program was set up to bring them through these cities. Later, as direct flights became available, Exobus brought them from their far-flung villages to the airports in Kiev and Odessa. The ICEJ also sponsored 50 full plane-loads of immigrants over 8 years, to assist them to come to Israel. The work is still on-going, with more buses and more centers being used to bring them out. 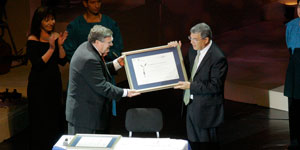 "The Foundation recommends to award the prize to the International Christian Embassy for its continuous and energetic activity in education and information in Israel and abroad to strengthen the ties between Jews and Christians, for its activity to bring understanding between Jews and Arabs in Israel and for its activity to deepen Jewish and Zionist awareness among Christians around the world and for encouraging immigration to Israel." After Israel's Operation Solomon rescued thousands of stranded Ethiopian Jews, the Embassy was able to assist in helping them absorb into Israel with the aid of Dr. Campbell Millar and his wife Ferne. The Millars had worked in Ethiopia among those with leprosy for some time and could speak the language. The ICEJ sponsored the building of two Tukuls (Ethiopian meeting places) in Beit Shean. Also, through Hansen Hospital in Jerusalem, examinations were made for signs of leprosy. Additional assistance was given with the absorption process including household items, medical aid and job seeking. 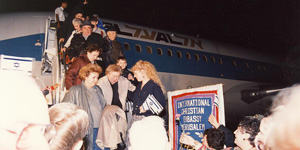 When the Jews of Moldova were caught in the crossfire of a regional conflict, the Jewish Agency asked the ICEJ to help evacuate them from Bendery. The ICEJ-sponsored bus teams did not hesitate, although they were based in Kiev, several hundred kilometers away. 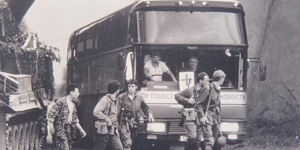 The risks were serious, but the team promptly reorganized to enable a coach to travel immediately to Odessa, from where they proceeded into the war torn region of Trans-Dniester in the southwestern republic of Moldova. Over a period of 3 weeks, the Exobuses carried about 400 Jewish refugees to safety. Hundreds of Spanish Christians knelt in repentance and prayer in Toledo, carrying banners saying, "Please, Jewish people, forgive us for what happened in 1492." In 1492, during the reign of King Ferdinand and Queen Isabella, the Jews were expelled from Spain. 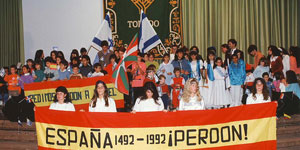 Five hundred years later, a meeting was held in which forgiveness was asked from the Jewish people, represented by Yitzhak Navon, former president of Israel, and other elders of the Spanish Jewish community. Navon responded, "I am standing here in front of you overtaken by emotion and embarrassed. I am moved as the warmth and affection that you are bestowing on my people and am embarrassed because we are not used to such gestures.... Allow me to tell you quite frankly that our heart is full of deep gratitude because you give us back faith in mankind and plant in us hope for a better future in interpersonal and inter-religions relations." Three anointed concerts were held by the Embassy on Dec. 24-26, the even of millennium celebrations worldwide. These events helped to fill a void for local believers and Christian pilgrims reluctant to join in festivities held at the Palestinian-controlled Manger Square in Bethlehem. Two large choirs from the United States and an orchestra of mainly Russian immigrants presented Christmas carols and a nativity story with live animals on Christmas Eve. Handel's "Messiah" was performed on Christmas night to a house full of Israelis. And on Dec. 26, the audience joined in the Gospel singing presented by some of the solo artists who came with the choirs. When the south Lebanese had to flee their homes due to the Israeli withdrawal from South Lebanon, the Embassy visited the places where the refugees were being housed to see if there was anything that we could do to help them.The ICEJ was part of the initial aid with baby clothes and personal care items, thanks to the quick response from our supporters. The Covenant, a colorful biblical drama that recounts the miraculous story of the People of Israel, was first performed during the Feast of Tabernacles in 2001. 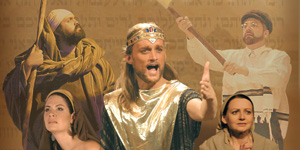 The musical has since been translated into Hebrew and performed before thousands of Israelis. 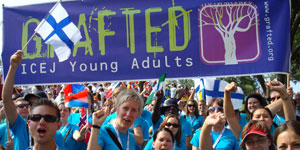 The ICEJ’s vision for young adults was realized with the foundation of the Grafted department. Grafted was founded to bring the ICEJ’s message of Biblical Zionism to a younger generation through their Feast of Tabernacles tour, by establishing work projects in Israel for young adults, and through international speaking tours. The ICEJ, along with other Christian Zionist ministries, was invited to participate with Knesset members in the Christian Allies’ Caucus. The caucus exists to raise Israeli awareness of the unconditional support of Evangelical Christians, launch joint welfare projects for the needy in the land, and enlist Christians in efforts to improve Israel’s standing internationally. 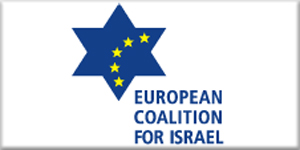 The European Coalition for Israel was formally launched in Brussels during a special conference on anti-Semitism organized with the European Jewish Congress. 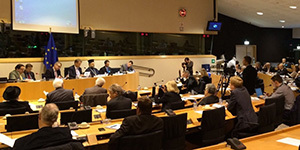 It is the first official pro-Israel lobby at the European Parliament, and aims to build support for the State of Israel, to provide a balanced perspective on the complex Arab-Israeli conflict, and the stand against the rising tide of anti-Semitism and anti-Zionism in Europe. The ICEJ is proud to be among the pro-Israel Christian ministries with pan-European and global constituencies that is participating in this coalition. 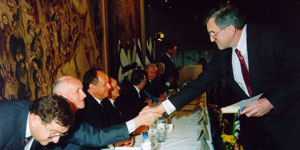 At the Feast, in October 2006, the ICEJ and Yad Vashem forged an historic partnership, forming a Christian Desk at Yad Vashem with the aim of joining forces to fight anti-Semitism. The Jerusalem Post is the most widely recognized and trusted source for news on Israel, the Middle East and the Jewish world. 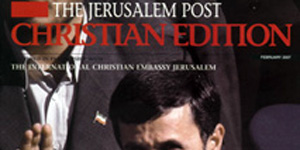 In 2006, “The Post” approached the ICEJ to partner in producing a Christian Edition to keep Christians around the world better informed on what is happening in Israel.With major input from the ICEJ’s staff and directors, the Jerusalem Post Christian Edition was able to offer Christians around the world a high-quality monthly news magazine dedicated to their unique interests. At the 2006 Feast of Tabernacles, the ICEJ was proud to announce that it had reached the 100,000 milestone in helping Jews to return home. More than 1 million Jews have immigrated to Israel since 1989, which means almost one in ten during that period was assisted in some way by the ICEJ. 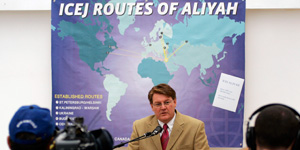 The ICEJ invested over $40 million in Aliyah to achieve this milestone. When 37 desperate Sudanese fleeing Muslim persecution crossed the border into Israel from Egypt in June 2007, the ICEJ immediately responded and to take care of these poor refugees. This bold initiative launched Operation Hope, which became a fully fledged project of the ICEJ securing better futures for hundreds of Sudanese refugees in Israel. 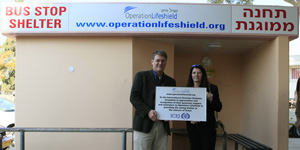 In response to the thousands of rockets and mortar attacks from Gaza, the ICEJ mobilized its supporters and raised funds to place six Operation Lifeshield bombshelters in the embattled city of Sderot. 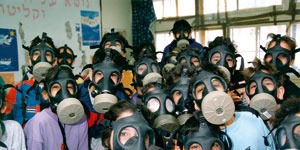 With only 15 seconds to find safety once the air raid sirens blast, the bomb shelters are a life-saving measure for these poor traumatized Israelis. On September 18th, the ICEJ delivered a global petition to United Nations Secretary General Ban Ki-moon signed by over 55,000 Christians from more than 120 countries worldwide demanding that Iranian President Mahmoud Ahmadinejad be indicted for incitement to genocide against Israel. 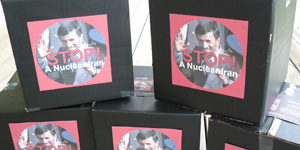 The petition was delivered to the United Nations on the eve of the Iranian leader’s planned visit to New York to address the Opening of the UN General Assembly the following week, where he was greeted by a mass rally demanding a stronger international response to the growing Iranian nuclear threat. Almost 8,000 Christian pilgrims from nearly 100 countries took part in the ICEJ’s annual celebration of the Feast of Tabernacles in Jerusalem, shattering all previous records in the event’s 29-year history and defying the downturn in the global markets. 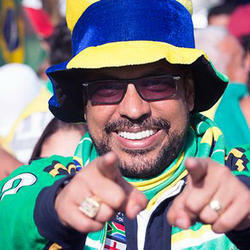 The largest delegation came from Brazil, with 1,500 pilgrims, while delegations from Finland, Germany, Norway and the United States all numbered around 500 participants. 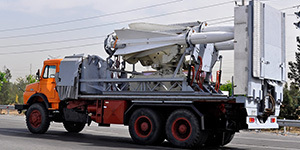 When Israeli forces were ordered to combat the intensifying Hamas rocket threat just a few days before the start of 2009, the ICEJ moved swiftly to come to the aid of the besieged Israeli communities along the Gaza border. Our efforts, co-ordinated with local social workers, enabled hundred of battle-weary teens, seniors and low-income families to experience a reprieve from the rocket war with breaks far away from the terrors of the front-line in the Galilee and Eilat. Within days of the start of the Gaza conflict in January protestors across the world began to flood the streets driven by a sense of deep hostility to Israel, fueled by highly distorted media coverage. Thankfully, Israel’s many Christian friends also took to the streets, staging solidarity rallies on every continent, including Costa Rica, the Philippines, Denmark, Finland and the UK. In Oslo, Norway, riot police had to come to the defense of the supporters of the ICEJ’s local branch using tear-gas to disperse a violent pro-Palestinian counter protest. On Friday April 17th, the ICEJ delivered a petition to the White House urging President Obama to resist the mounting pressure to send a delegation to Durban II, the United Nations’ second global summit on racism. 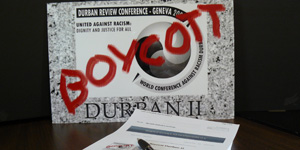 The so-called 'human rights' gathering was designed to review the outcomes of the hate-filled fiasco held in Durban, South Africa in the week before the 9/11 attacks of September 2001. As in 2001, Durban II looked set to become another anti-Israel conference with the set aim of designating her an illegitimate Apartheid state. The arrival of Iranian President Ahmadinejad in Geneva further promised to turn the entire event into a farce. On the ground in Geneva the ICEJ national directors of Switzerland, France and Russia stood with hundreds of Christians and Jews as part of series of city-wide protests against the Durban II conference and in memory of the Holocaust. 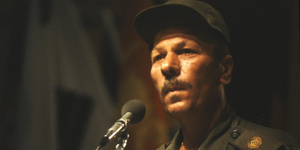 In the Czech capital of Prague, ICEJ national director Mojmir Kallus spearheaded a rally at the Senate that led to the withdrawal of his nation from Durban II within hours of Ahmadinjad's opening tirade. In Jerusalem ICEJ International Director Dr. Jürgen Bühler refuted the charge of Israeli racism in an extensive debate on the influential Arabic language satellite channel Al-Hurra. At the 30th Feast of Tabernacles hosted by the ICEJ in Jerusalem, we took a stand against the growing international pressure to divest Israel of Jerusalem. We raised awareness through an online campaign, and showed our support to Israelis during the Jerusalem March when thousands of pilgrims marched through the streets wearing our football style t-shirt “Jerusalem United”. The ICEJ was founded when the embassies of the world moved to Tel-Aviv in 1980 in protest over Israel declaring Jerusalem her capital. Support for Israel’s claim, historically and biblically, is core to the existence of the ICEJ. 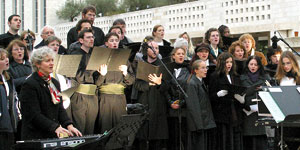 After 30 years of serving and standing with Israel, the 2010 Feast also carried the theme “Jerusalem – A Praise in the Earth” as the ICEJ seeks to add momentum to its Jerusalem United campaign. On January 13, in the hours following the 7.0 magnitude earthquake that devastated the Caribbean nation of Haiti, a highly trained Israeli rapid response team had just finished a gruelling 18-hour recovery operation at the scene of a fatal helicopter crash in a deep forest ravine outside Mexico City. "We were the closest ones" said Dovie Maisel from the ZAKA international rescue unit which was among the first on the ground in Port-au-Prince. "We were there almost alone." 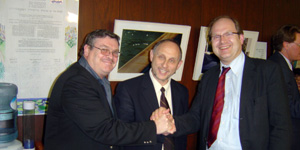 As the Israeli rescue team landed in the earthquake zone, the ZAKA leadership placed an urgent phone call to ICEJ Director Malcolm Hedding asking the Embassy to partner with them in their search-and-rescue operations in Haiti.In the gruelling 38-hour operation that followed, Maisel and his team managed to free eight students in a collapsed multi-story university building. It was a rescue effort underwritten by the generosity of ICEJ donors around the world. Within hours ZAKA paramedics arrived in Port-au-Prince as part of a 200-strong delegation from the IDF, MagenDavid Adom and IsraAID. As the donations kept flowing, the Israeli rescue contingent earned worldwide praise for their heroic efforts. The IDF mobile field hospital was hailed as the only foreign aid mission able to do complex surgical operations in the disaster zone and one young woman whose life was saved during childbirth named her new-born son "Israel" in gratitude. 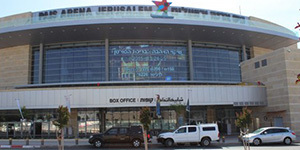 In April 2010 the ICEJ dedicated a new home for Holocaust survivors in the northern coastal city of Haifa. Spearheaded by the ICEJ’s German Branch, the Haifa Home demonstrated our long-standing commitment to help the estimated 210,000 Holocaust survivors in Israel end their days in dignity. Able initially to house up to 80 survivors, the ICEJ-sponsored Haifa Home was recognized throughout Israel as a model in dealing with the growing national problem of poor and needy survivors of the Shoah. Our outreach to elderly Holocaust survivors in northern Israel continued to expand throughout 2011 with the purchase of two apartment buildings on either side of the original ICEJ-sponsored assisted-living facility in Haifa. Subsequent renovations enabled us to increase the living space to accomodate 125 people, with all their lodging, food and medical care provided. In 2011 the phased expansion was completed. Two dilapidated neighboring buildings were transformed into a multipurpose complex that includes attractive living quarters, a kitchen and dining hall, a synagogue, courtyards, and a medical and dental clinic that is also serving other needy survivors throughout the Haifa area. Doctors and nurses from local hospitals volunteer to cover the residents’ health needs and the Home’s kitchen is now feeding other survivors who live in the surrounding community. A year of drought and political turmoil forced Israeli authorities to speed up the long delayed relocation of thousands of Falash Mura in Ethiopia - an ancient and isolated community of Jews that have always cherished the dream of one day returning to Zion. In August 2011, the first ICEJ-sponsored flight in this accelerated aliyah initiative landed at Ben Gurion airport. Meanwhile, ICEJ branches from all over the world have raised additional funds to help bring this last contingent of Ethiopian Jews home. It is the last chapter in a story that began some 25-years ago with ‘Operation Moses’ the dramatic Israeli rescue of thousands of Ethiopian Jews who had fled the nation’s bitter civil war and were trying to journey to Israel on foot via Sudan. Since that time the ICEJ has continued assisting the Ethiopian community in Israel, funding psychological therapy, after-school programs, summer camps and college scholarships for at-risk Ethiopian youth and teens. In 2011, the ICEJ funded the most comprehensive survey ever undertaken of Arab sector social workers in Israel, as part of our efforts to guide Israeli authorities in targeting the most critical problems facing their communities. Despite enjoying a higher standard of living than other populations in the region, the study’s 85-page report told of social workers overburdened by case loads involving large families, and not enough specialists in handling at-risk children. 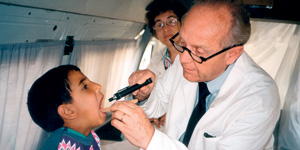 It is part of the ICEJ's long-standing legacy of showing the love of Jesus to every people group in the land of Israel. After year of bureaucratic delays, members of India's Bnei Menashe community recieved all the necessary approvals to begin their long-awaited journey to Israel in 2012 and the ICEJ was there to help. Exiled from Israel 2,700 years ago when the forefathers of this ancient Israelite tribe were forced from the Land by the Assyrian invasion, the return of the Bnei Menashe is a dramatic fulfilment of scripture. The ICEJ was the proud sponsor of the first flight of 54 olim (immigrants) which arrived on December 24th. The ICEJ has always had a clear mandate to speak to the Church worldwide about what He is doing in Israel, but felt challenged to amplify that voice through mass communication – internet, social media and television. The first TV initiative was the launch of the ICEJ Report during the Israel Now News program broadcast globally by Daystar TV. This new vehicle had a major impact throughout the ICEJ network leading to the production of Word from Jerusalem airing on God-TV with a viewership of some one billion people. With its foundations firmly in place and its demand ever-expanding, 2013 saw our work at the Home for Holocaust grow. This year residents of the Home paid a visit to our annual Feast of Tabernacles celebration, bringing with them a report about the Home and the great blessing it is to them. Donations helped us to complete renovations on a sorely needed kitchen which is used to feed not only residents of the Home but also other local survivors in the Haifa area. In addition to our ongoing sponsorship of the Home, we strengthened our adoption program, enabling Christians around the world to befriend and support individual Holocaust survivors. So far this year the ICEJ has opened its 8th branch in predominantly Arab/Muslim nations. The amazing trend began two years earlier but has accelerated this year to the point that officials anticipate having at least ten such branches shortly. In some of the countries the entire body of Christians came fully behind the ICEJ, in some the political leadership of the country also gave their blessing. 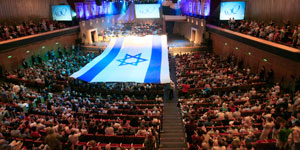 In order to accomodate the growing needs at our annual Feast of Tabernacles celebration, we left our long-term home at the International Convention Center Jerusalem (ICCJ) and in the fall of 2014, the Feast was held in the brand new Pais Arena. With a concert capacity of close to 15,000 our new Feast home will allow for many more pilgrims to come up to Jerusalem to celebrate the Feast with us. 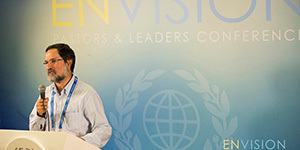 With a vision to connect pastors and church leaders from around the globe the ICEJ lauched the Envsion Pastors and Leaders Conference. Offering ministry leaders an opportunity to refresh their spirit and receive a renewed vision for their ministry and calling, the Conference offers a visit to the Prime Minister's office, the Israeli Knesset and the Chief Rabbinate, high-level briefings from Israeli officials and scholars, in-depth teaching sessions on Biblical Zionism, a special ceremony at Yad Vashem and meetings at the Jerusalem Prayer Tower. Received with great success the Conference has continued as an ICEJ tradition. When the negotiations between the P5+1 world powers and Iran yielded far too many concessions to Tehran in regard to its renegade nuclear program, the ICEJ took action. A petition campaign was begun, the results which were presented to the foreign ministers of the Western democratic nations who negotiated with Iran, the Secretary General of the United Nations, President Barak Obama and other Congressional leaders. In all over 90,000 people stood with as we declared, "Not One Bomb for Iran." The International Christian Embassy Jerusalem held a symposium at the European Union parliament in Brussels titled “The Economic Wall of the EU Labelling Move.” The Symposium highlighted the unfair and counter-productive nature of EU guidelines for labelling products and services from Israeli communities in the West Bank and was hosted by MEP Takkula (ALDE, FI) and MEP Belder (ECR, NL). Main speakers included renowned international legal expert, Prof. Avi Bell, Greek Orthodox priest and founder of the Israeli Christian Empowerment Council (ICRF), Father Gabriel Naddaf, and the Chief Rabbi of the Netherlands, Binyomin Jacobs.